Artists impression of the new biogas plant at Greenhags in Newton Mearns. The long-running saga of whether Newton Mearns would be the site of a biogas plant seems to have finally been decided. 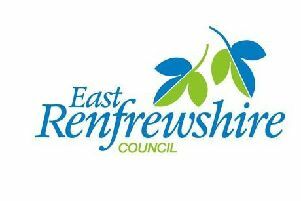 Last week East Renfrewshire Council’s planning committee approved the plans, paving the way for the project to become a reality, despite vociferous political and local objections. The development proposals have been mired in problems which The Extra has covered ever since we broke the story in March this year. These include worries that crops might have to be specifically grown to ‘feed’ the digester, and further concerns that the gas produced will be of such a poor quality that it will require to be enhanced with propane, which will have to be stored on-site. According to some commentators this poses a risk which is simply too high to be acceptable. Kirsten Oswald MP said : “I have been closely involved with the local community in responding to this application and I am sorry to see their concerns disregarded. “The approval contains vital conditions to ensure its safe operation, to minimise the visual impact of the development, and to ensure there is no odour from the plant. The local community will rightly demand that the Council puts in place effective arrangements to monitor compliance with these conditions as the plant is built and during its operation. David Jesner, Chairman of Newton Mearns Community Council said, “Biomass, when using material produced on site to generate electricity, is fine. This is not such a plant as it is importing specially grown raw material which has to be transported by road from as far afield as Coatbridge, Beith and Kilmarnock. It is of such low calorific value it then requires the injection of propane before it can be pumped into the Scottish Gas main grid. That is not effective without subsidy, has foreseeable dangers and is not green energy. “If it is true that ERC couldn’t refuse to grant this on planning grounds, it does not absolve them of failing to consult residents. Had they done so and listened to the strength of local opinion, they could have stopped this in its tracks simply by refusing to grant them a lease. Jackson Carlaw MSP said: “The approval of the Greenhags biogas plant is an unwelcome development. “This SNP government left our councillors in an impossible position with its ongoing nationalisation of local democracy, denying locally elected representatives the chance to properly reflect local views. Weighing in against the council’s decision was also Maurice Golden MSP, Shadow Cabinet Secretary for the Environment, Climate Change and Land Reform who said: “I appreciate that from a planning point of view, East Renfrewshire Councillors would have found it difficult to refuse the application. “The point is that we have overcapacity of these sort of facilities in the Central Belt in Scotland which is driving down the price that Local Authorities can receive for food and garden waste. We don’t need any more facilities likes this. For commercial food waste, there are better ways to use this waste such as the conversion of waste sugar beet into a high value chemical for use in the Paint industry. “When you factor in the carbon emissions and pollution associated with transporting waste coupled with the fact that often farmers switch to growing feedstock for the Bio-gas plants rather than crops the only conclusion is that any more of these plants are bad for climate change and will harm the local environment. “This sort of scheme is the worst sort of profiteering we can see if we want a sustainable future for our children. The council, however, refused to divulge how much they are receiving from the lease between themselves and the developers.